Arrive in the mtns, and you'd better make friends w/ the bears! This historic chalet is the perfect den for nature lovers and hibernators alike. Venture to old town for special events, take roads less traveled for numerous hikes + stunning waterfalls. Nearby, a glassy Reservoir offers fishing/boating excursions in a magnificent tree-laden terrain. Relax & reset in the sun-filled retreat, spacious and modern for everyday living or escape. Superlative updates to kitchen w/open concept lwr level. Rich woods & bright swaths of color blend into balance. Exposed beams + cellar-style paneled int doors - a nod to timber towering above the Minnesota strip â are enchanting. Entertain on brick patio w/ barefoot-ready fenced yard, and spellbinding vista of Mt Shasta. Cvrd back deck enhanced w/mist system for warm days offers magnificent basking on Adirondack. Dramatic peeks of our timeless Glacier beckon from indoors & rear balcony. Central vacuum & wood-grain laminate flr offer practicality + hardiness. 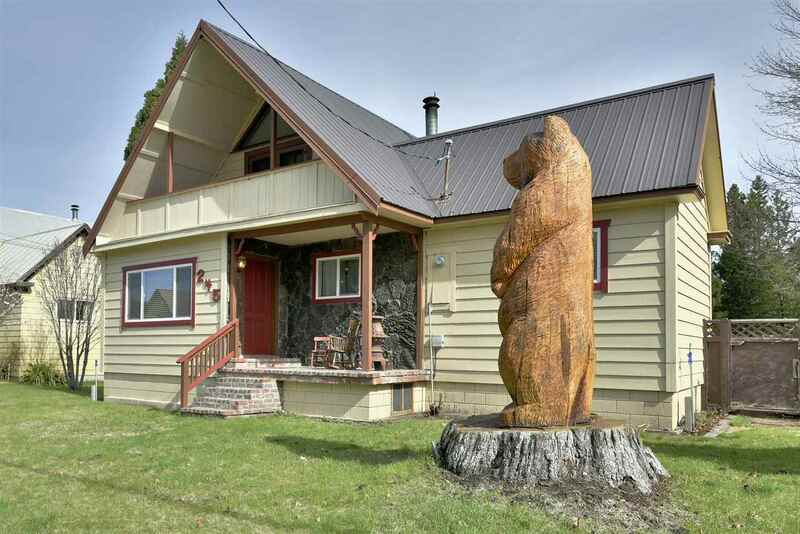 Whether you fashion your home among the pines, or simply embrace the forest once in a blue moon, the house's life-sized carving of a friendly bear remind one to seek joy in the wild.